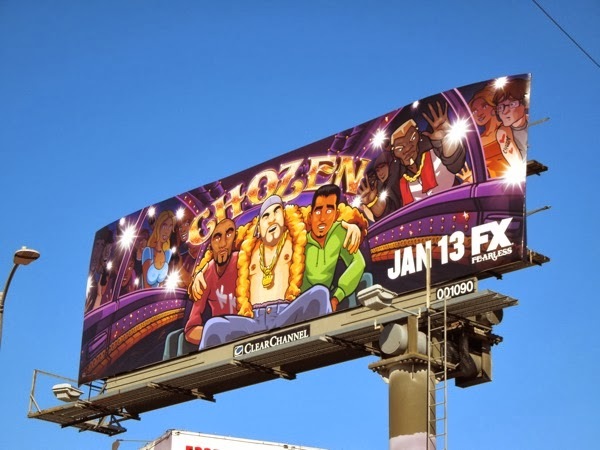 HBO may have its new gay comedy-drama Looking this TV season, but it looks like FX is going a whole different route if this billboard for their new animated series, Chozen, is anything to go by. 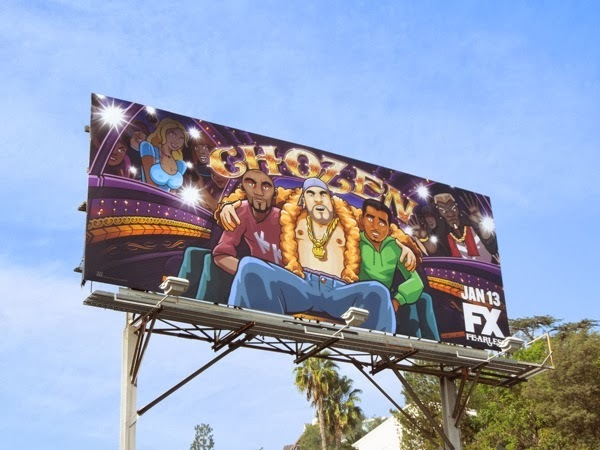 Meet rap's next 'Chozen' one, a white gay ex-con rapper looking to kick-start his music career after being released from prison. 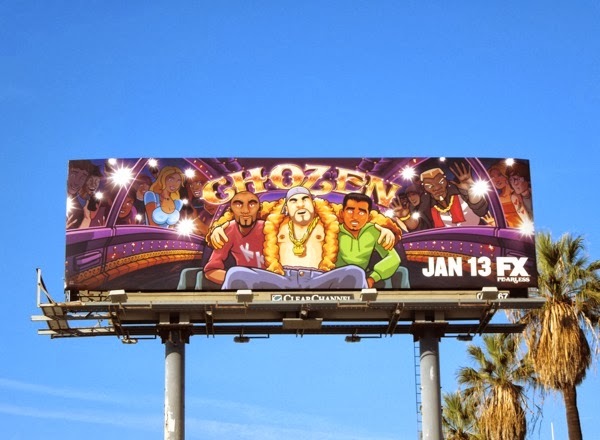 FX is certainly challenging a lot of rap and hip-hop stereotypes with their choice of titular character (voiced by Bobby Moynihan), but let's hope the show don't end up being too offensive, or homophobic, just to get their new series noticed, and it breaks conventions in a positive way. 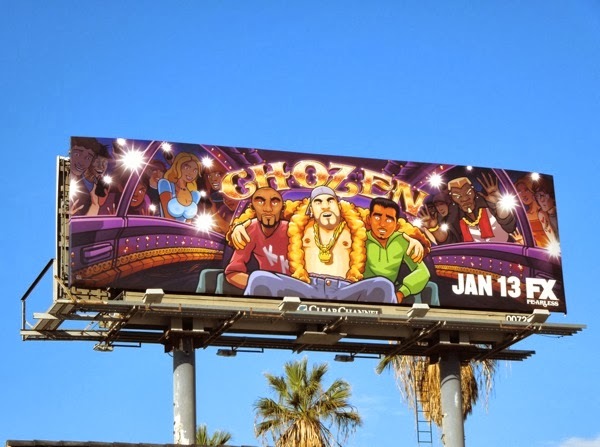 The jury's out on Chozen and his posse, but we'll be along for the ride in his blinged out limo before passing judgement, and we're sure it won't be long before he has his own premium vodka brand, music label, clothing line and all the scantily-clad adoring fans he can lay his hands on. 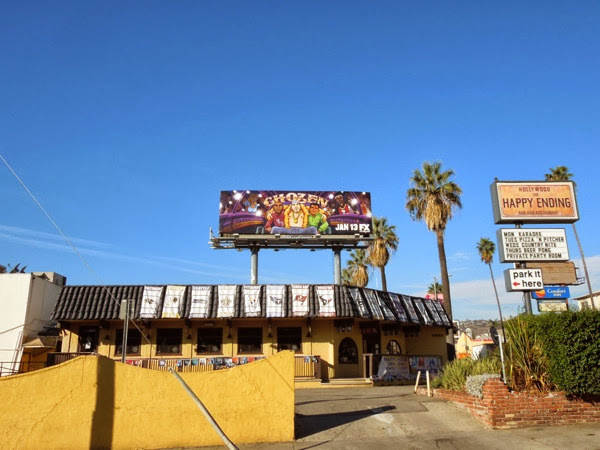 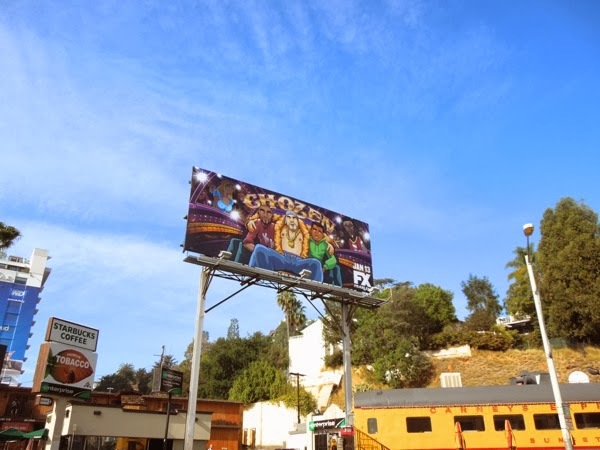 These Chozen series premiere billboard were spied along Santa Monica Boulevard and Sunset Boulevard on December 30, 2013, plus along the Sunset Strip on January 10, 2014. 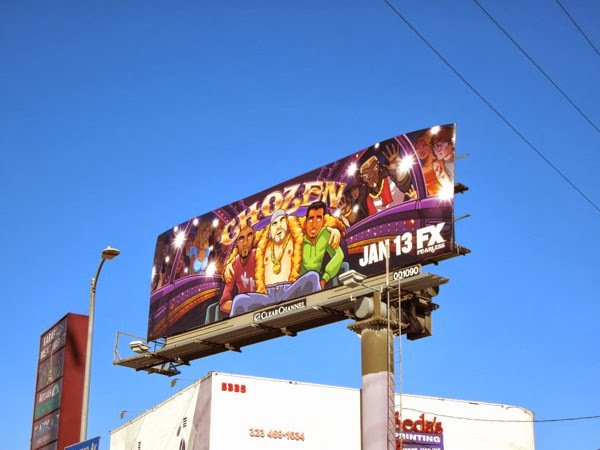 If you like this ad creative, be sure to also check out this Archer: Vice billboard, FX's other animated comedy series returning this year for its fifth season. 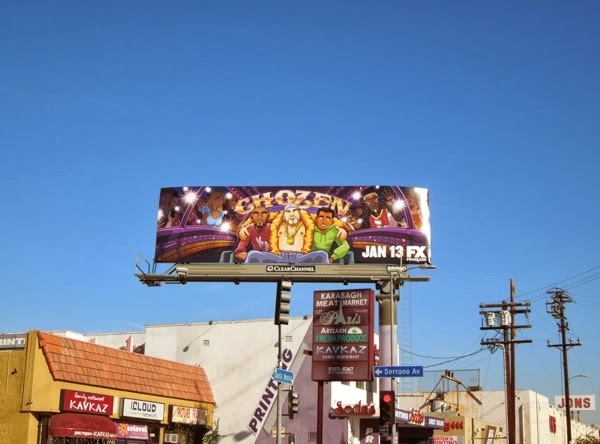 And remember, "Bro's before Ho's".